Lights in the Heights at C3 Church Padbury (Hepburn Heights) if a fabulous free event for the general public and runs every night a couple of weeks before Christmas. This year 2018, it's still free, and you must book your tickets online (see website link below). As you enter you are given a card with a map that shows all the zones and volunteers stamp the card as you enter each zone along the trail. When you arrive for your session you enter through the front doors into the Winter Wonderland. 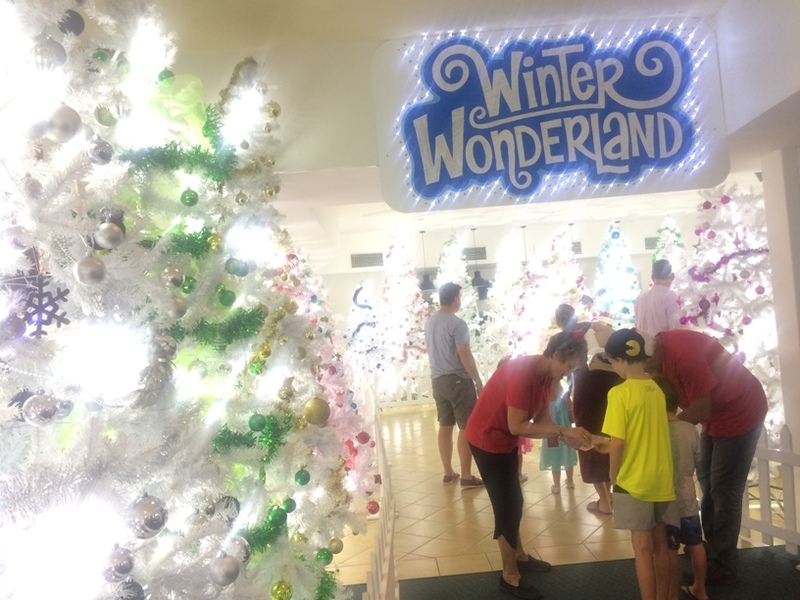 Decked out with beautifully decorated and illuminated white Christmas trees and a gorgeous train set, Winter Wonderland is a great way to start this magical Christmas experience. 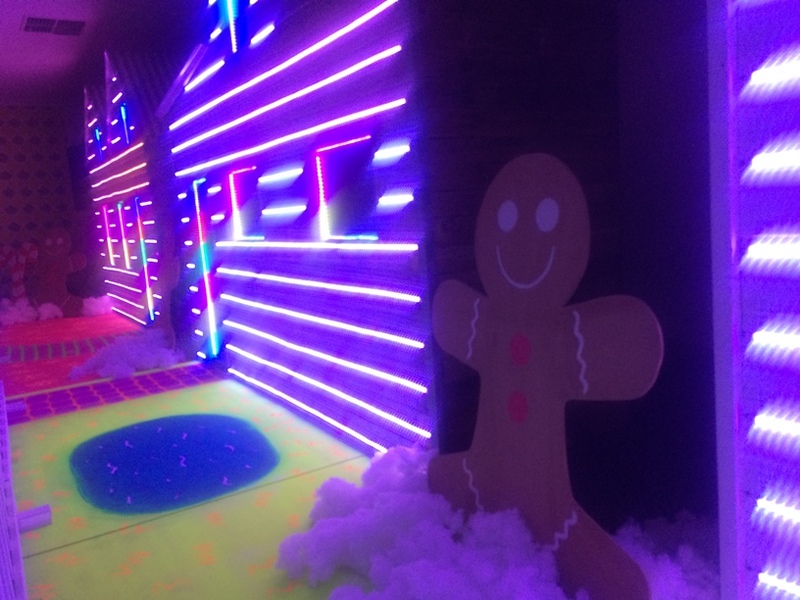 Candy Cane Lane is back in Here you can enjoy music and bright flashing lights that light up houses in the "street" that is also lined with gingerbread men. Once you've wandered down Christmas Street it's off to Santa's Workshop to make a little pop stick Christmas tree that makes a beautiful decoration to stick on the front of a DIY Christmas card. This craft is very simple with each child given a sealed craft pack with everything they need to make their little tree. 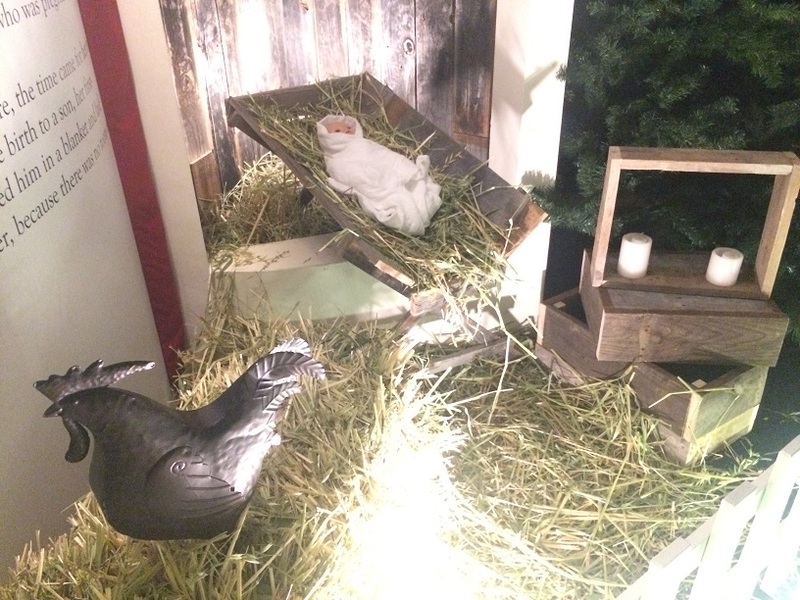 Lights in the Heights also includes a few scenes that encompass the traditional Christmas story to remind us about the real reason for Christmas with a series of beautiful nativity scenes called The First Noel and One Starry Night. Moving along the trail and heading out into the foyer there are a few photo opportunities at The Photo Booth. 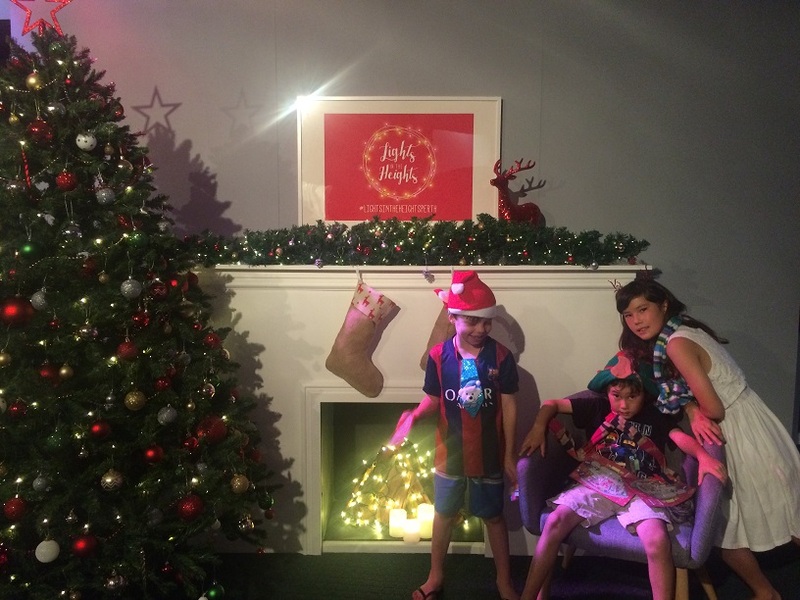 With Christmas scenes set up with props for snapping that perfect family memory. 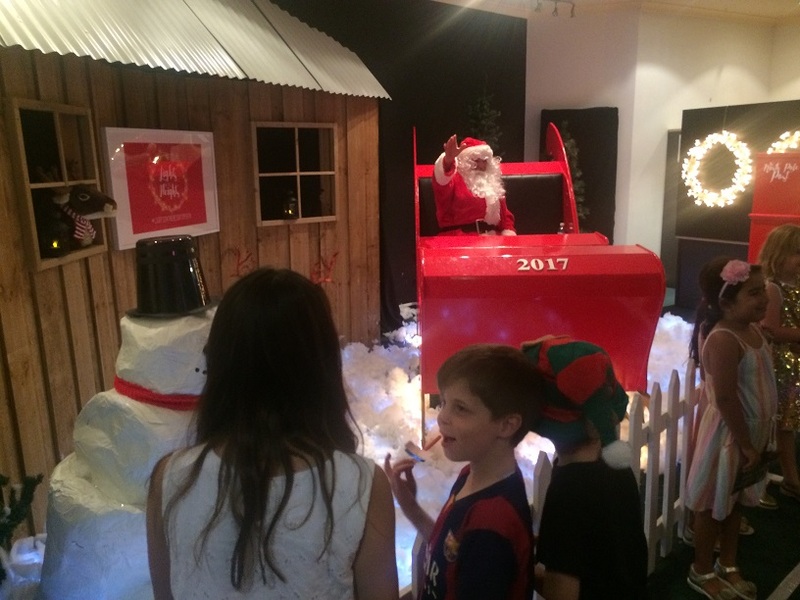 Santa's big red sleigh and Santa are back this year with an incredible scene that includes a barn and snowman (image above). Volunteers can use your phone to take a photo so the whole family can join in. This year there are more photo booth areas so we found there was less waiting to get dressed in the props and get that perfect family photo. The Neon Dance was also back this year. Inside there is a Virtual Dancing Santa. 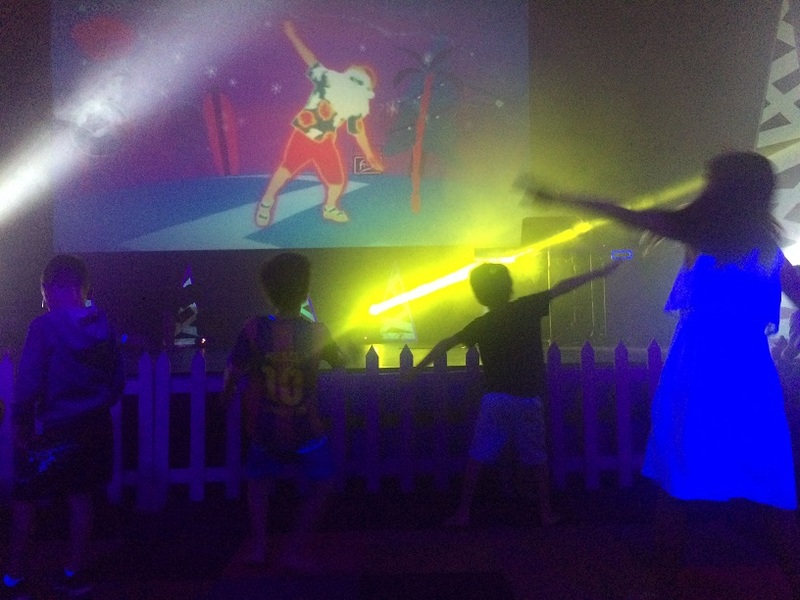 The kids loved copying his dance moves dancing to the sequence over and over and over and over again. They also go their face painted with neon paint so they could look the part too. 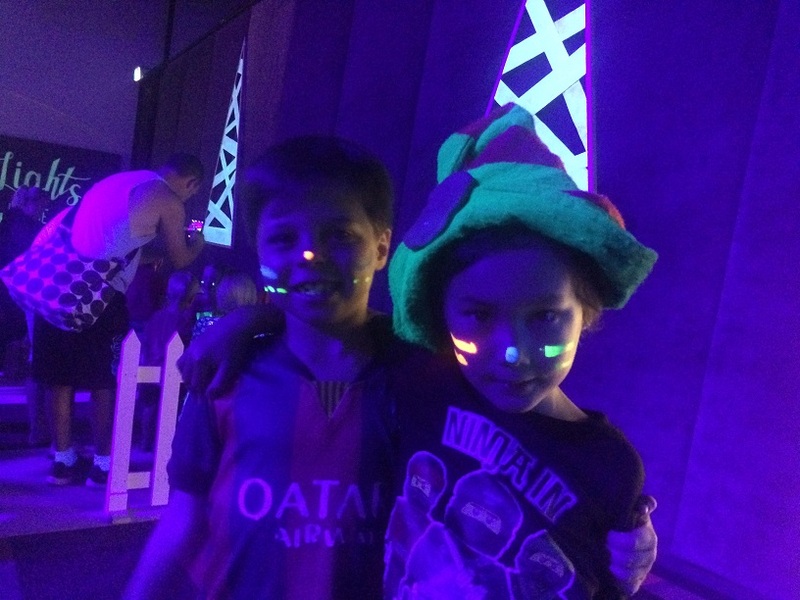 Make sure you leave plenty of time for The Neon Dance we spend the majority of our time here, the kids just loved it. 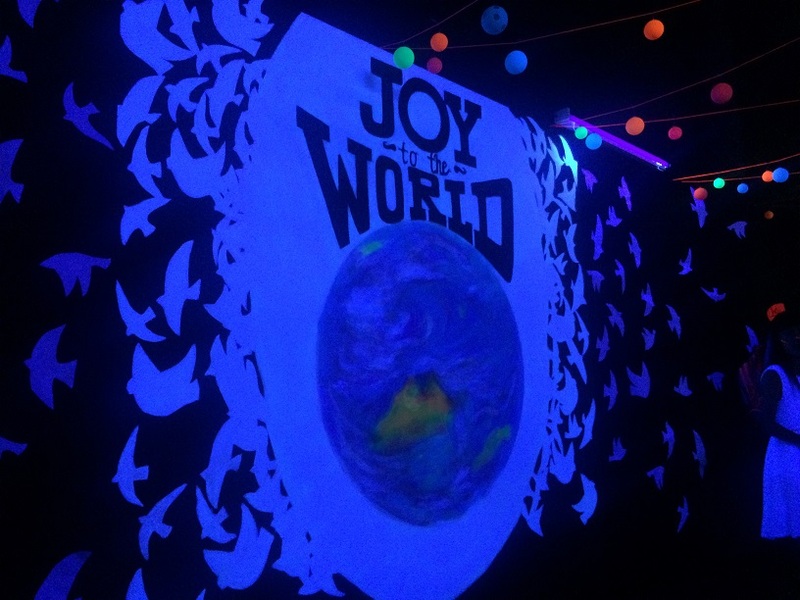 The Neon Dance World is the last stop on the Lights In The Heights trail. Once you are finished here you can make your way along the exit that is lined with neon artwork, that takes you back out to the car park where the kids each receive a candy cane. 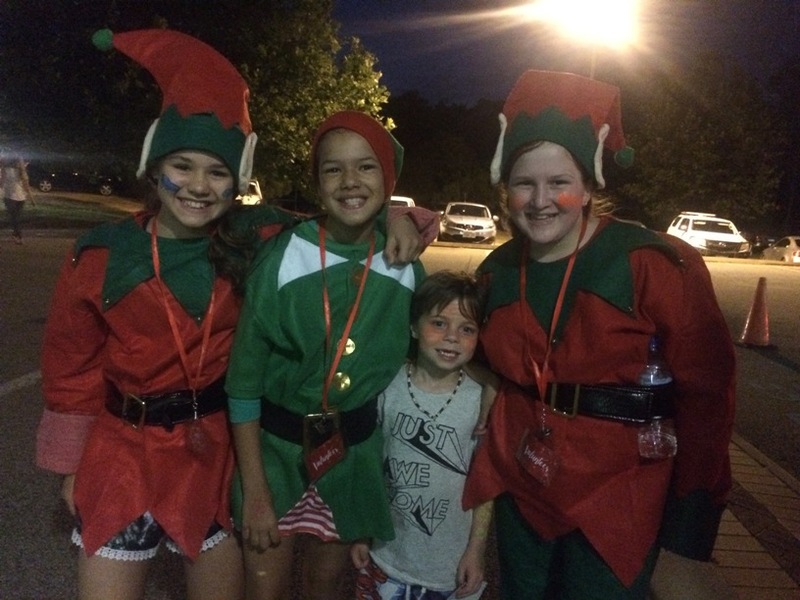 Make sure grab an "elfie" on your way out with the friendly elves who are there to wish you a Merry Christmas before you leave. We suggest you eat before you go. There is no food available for sale (unless indicated on their facebook). Remember you must book your FREE tickets online to enter (link below). 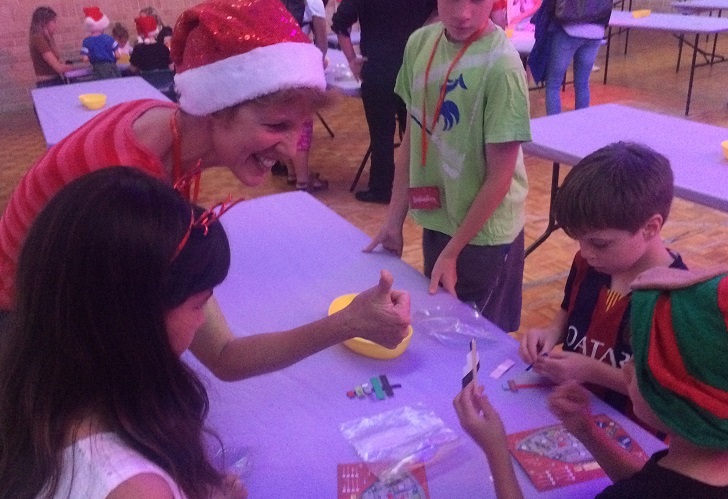 Lights in the Heights is run by 100's of volunteers and is a must do FREE Christmas event each year in Perth.